Homemade Paneer or cottage cheese..it is healthy and yummy!prepare at home n enjoyy !! Bring the milk to a rolling boil (make sure you are right there to avoid spill overs!). Add 1 cup of curd and give it a good mix. Now simmer for another 2 minutes and let the whey separate well. Switch off the flame and let it cool a bit. Now take a cheese cloth or a thin cotton cloth and transfer the whey on to it.Be sure to cool off to a normal temperature before squeezing the excess water. Now keep the cheese cloth on a strainer and keep some heavy weight on it so that all excess water will be removed . Leave for about 2 hours . Now take the paneer and refrigerate for about 1 hour . 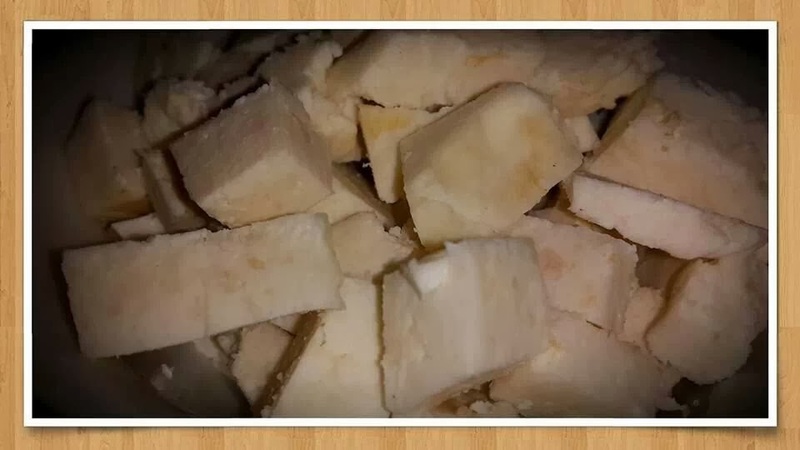 Once the paneer is a bit hard, cut them into cubes and they are ready to be used in curries or can be stored about 15 to 20 days in refrigerator. Lemon juice or curd can be used instead of curd.But I seem to like the one with curd method. Whey separation is faster when you use 2 tsp of Vinegar instead of curd. Perfectly made!! homemade is the best! !